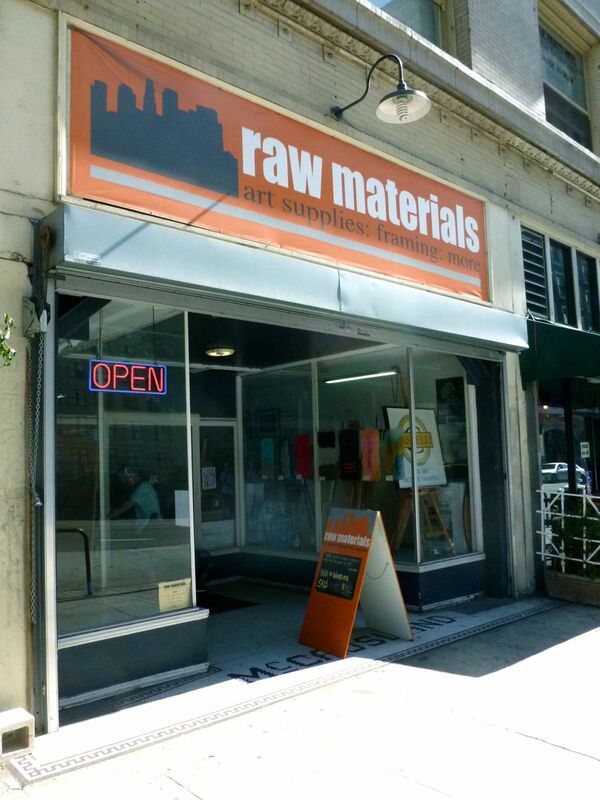 I found street parking in front of Raw Materials on Main Street (in between 5th & Winston Streets). Raw Materials is, of course, an art store. 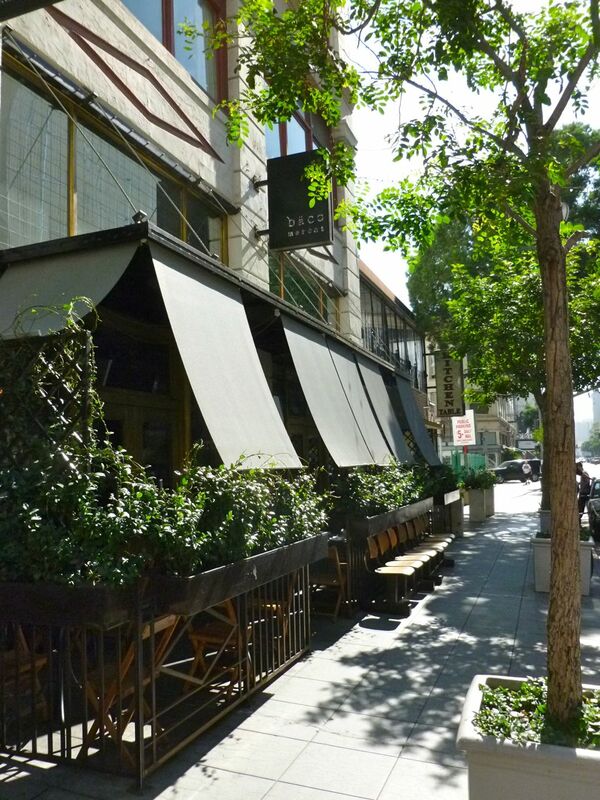 But the name also symbolizes what the Historic Core of downtown Los Angeles represents. 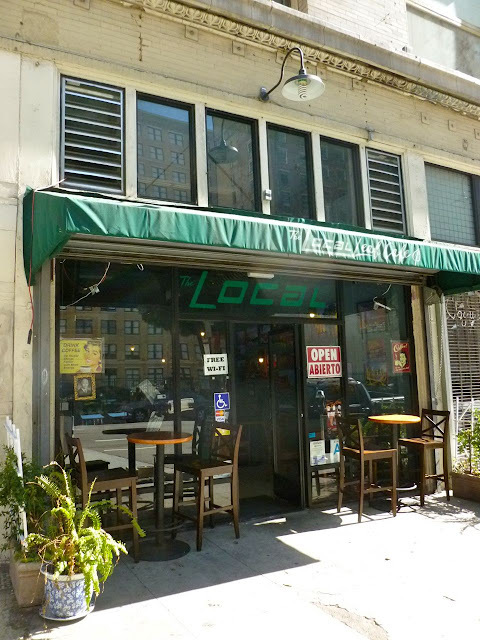 Next door was the Local Leaf Cafe. I headed north (technically, northeast) along Main Street. 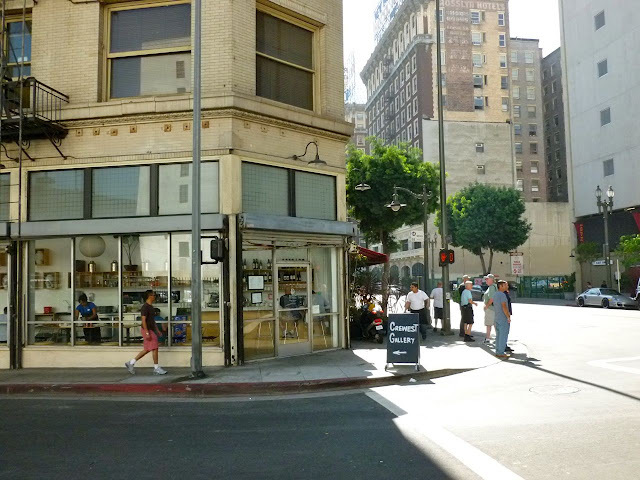 The "raw materials" of the historic core consist of hundreds of older buildings, most with retail spaces at the street level. Los Angeles has the advantage of some of the most stellar weather in the world. How about a cup of coffee outside in November? Blossom Vietnamese Cafe, located at the corner of Main and Winston. Most of the street level retail was alive and active. What could pass for New York or Chicago. Got to love the old school (and very functional) metal fire escape. 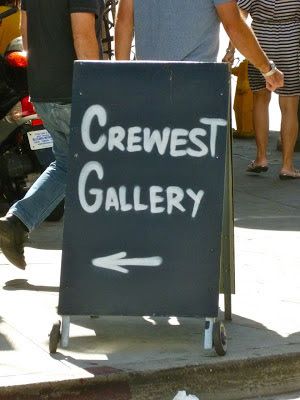 Crewest Gallery. The gentrification of downtown - of course - means art galleries. Contrast the number of people out and about on the city streets to, say, Los Angeles' Century City or even the financial district of downtown L.A.
Across the street was Big Man Bakes. This was two years ago: they're still around. 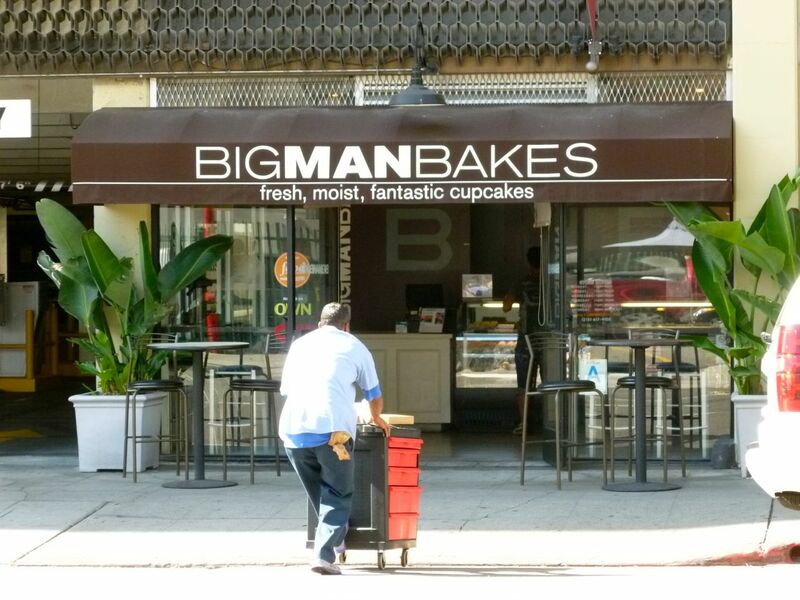 From the sign, I'm guessing they jumped on the cupcake craze that started about 2010. 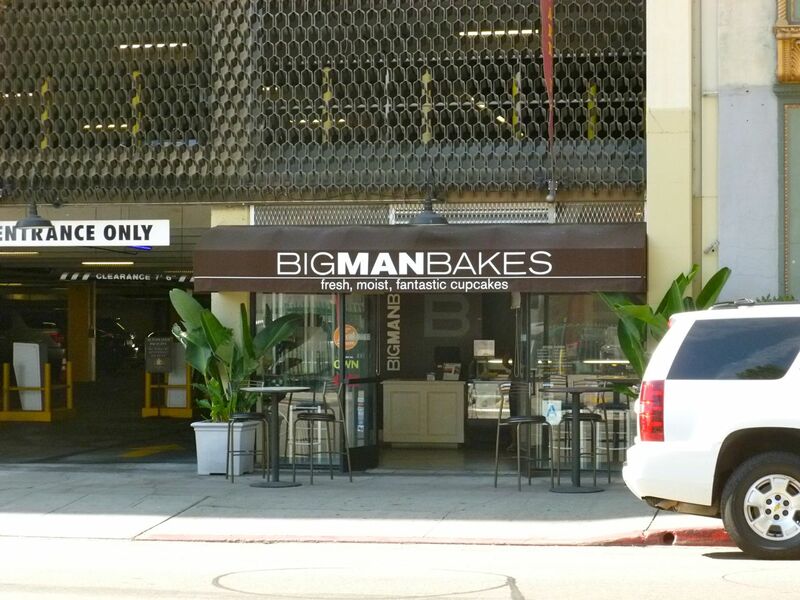 Looks like Big Man Bakes is right next to entrance to a parking garage. Fortunately, there's still some retail at the street level. 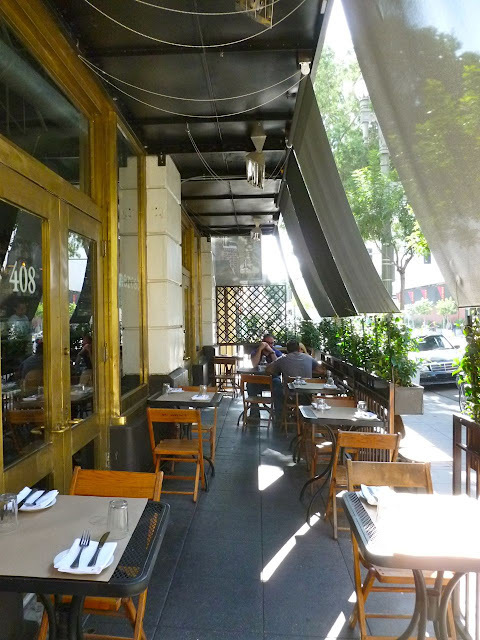 Street level outdoor dining along Main Street at Baco Mercat. This was about 3pm. I'm curious what this place is like at, say, 8pm? Outdoor along the street, yet with some privacy. This is not how most people envision Los Angeles. I certainly don't. Looks more like Paris, right? Someone had a vision. 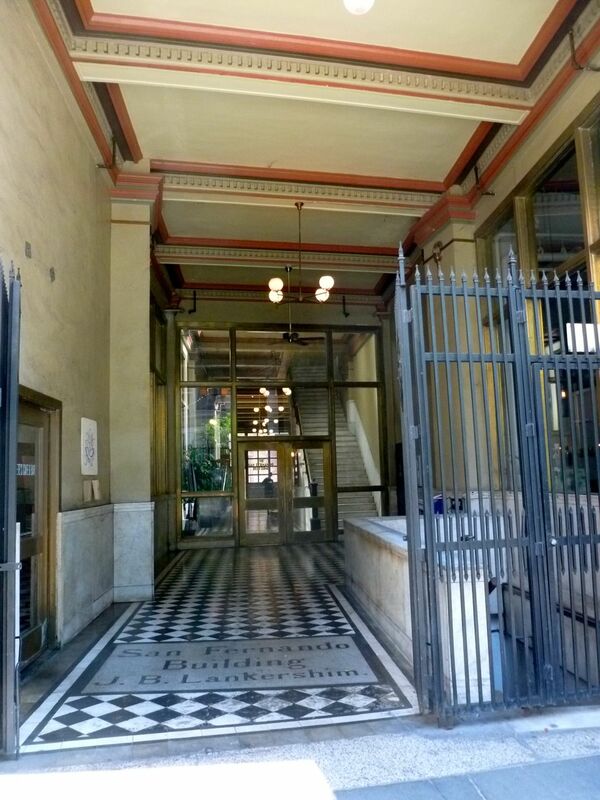 The entrance to the San Fernando Building - located at 400 S. Main. This seven story loft apartment building was renovated 15 years ago as part of the Old Bank District development - at, and around, this intersection. 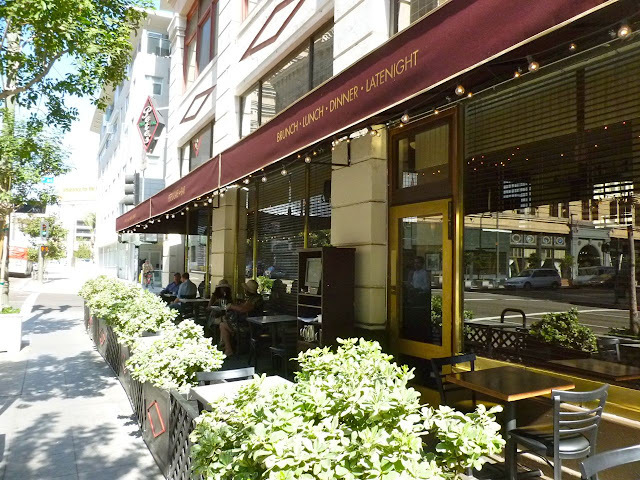 More street level outdoor dining at Ledlow - located at Main and Fourth (or is it, 4th?) Streets. 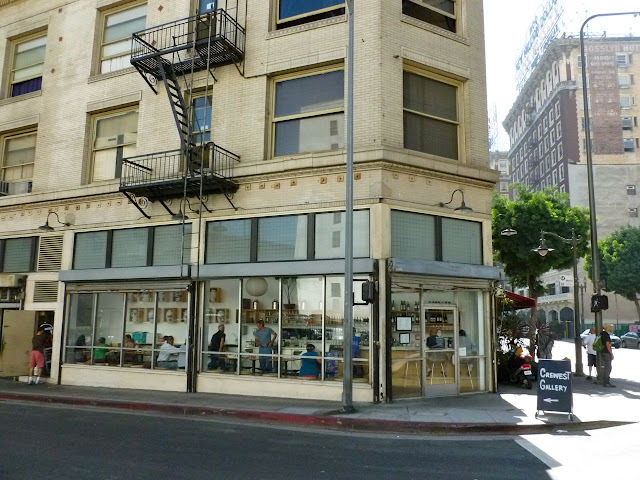 Across the street, you can see much more the San Fernando Building, built in 1907. 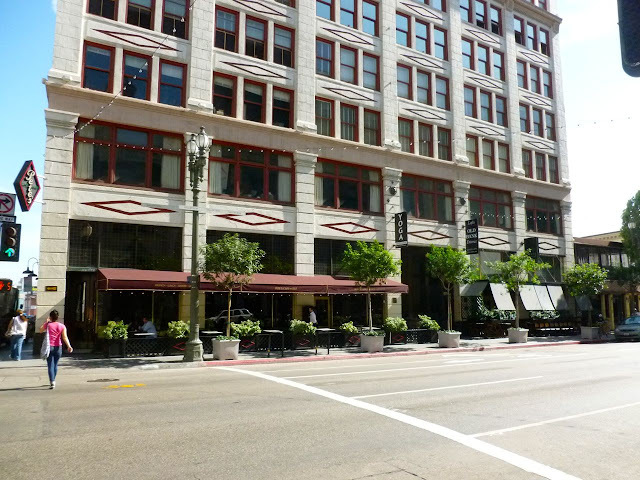 At the time, it was considered the finest office building in the city. 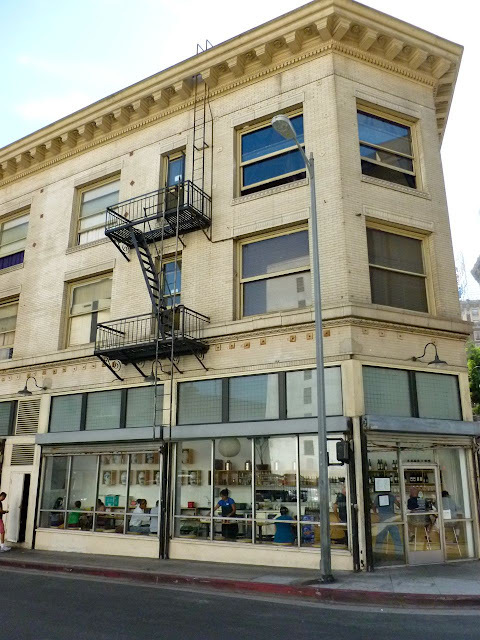 Like much of downtown Los Angeles, it hit hard times in the 1950's, but - like dozens of other buildings in the area - has now come back as residential rental units. As a Christian, I'm always curious what makes a great city. What elements, what public policy, what sort of planning, zoning, and design elements make for a truly great city? How are neighborhoods laid out? Roads, parking, public transportation? How does this affect the poor or economically marginalized - as well as the general populace? What can we learn from other places -- and from history? How does a Christian world-view affect this, if at all? Historically, Los Angeles - much more so than cities like New York or Chicago - grew out rather than up. There were numerous reasons for this. One hundred years ago, a sprawling, low density city was considered the wave of the future. Today, not so much. 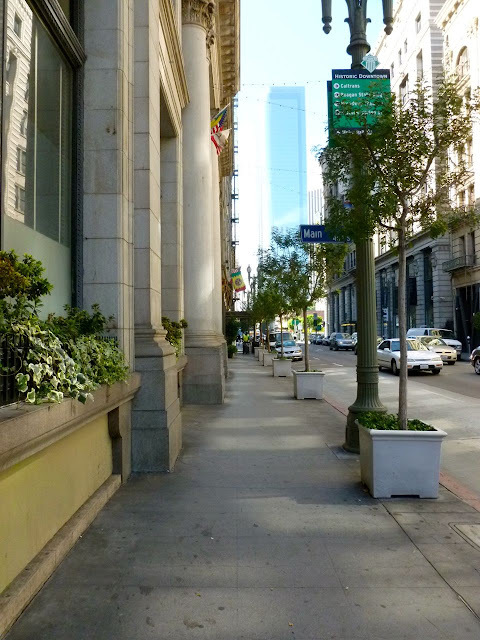 I headed west (technically, northwest) on 4th Street past the Farmers and Merchants Bank Building towards Spring and Broadway Streets. In the distance are the office towers that run north/south along streets like Figueroa, Hope, and Grand. More next time in Part II.